In Yellowstone National Park in Wyoming, you’ll find impressive geysers that shoot hot water and steam high into the air. The most reliable of these is Old Faithful. 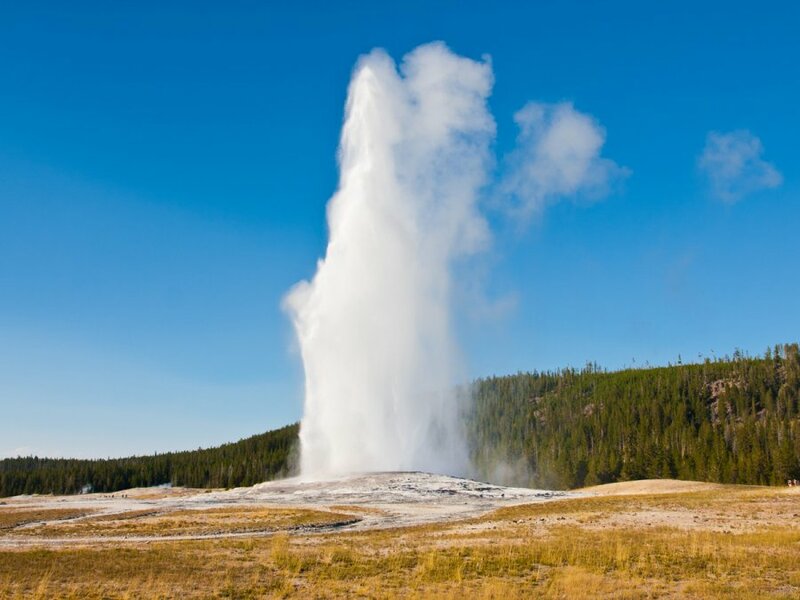 Old Faithful plays – or shoots water—every 60 to 90 minutes and goes off about 17 times every day. Old Faithful isn’t the largest geyser in the park, but it’s the one that you’re most likely to see because park rangers can predict when it will go off next. All About Old Faithful in Yellowstone National Park,Wyoming. It shoots water every 60 to 90 minutes and goes off about 17 times every day. Old Faithful was first named in 1870 by the Washburn Expedition. This group of explorers and scientists were amazed by Old Faithful’s height and regularity. The geyser has slowed down just a bit since two earthquakes – the 1959 Hebgen Lake earthquake and the 1983 Borah Peak earthquake. The water in the geyser is 204 degrees Fahrenheit. The steam has been measured above 350 degrees. That’s as hot as your mom’s oven! 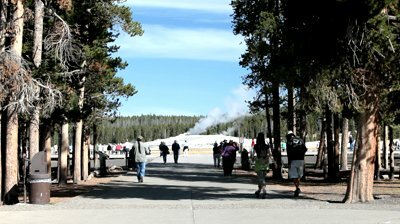 If you go to look at Old Faithful, you’ll sit on the boardwalk, about 300 feet from the geyser. Right before the geyser erupts, you’ll see little jets and squirts of water. Then the geyser will begin to play. It shoots water up to 185 feet in the air. Most two-story houses are between 20 and 30 feet tall. Old Faithful is a lot taller than your house. 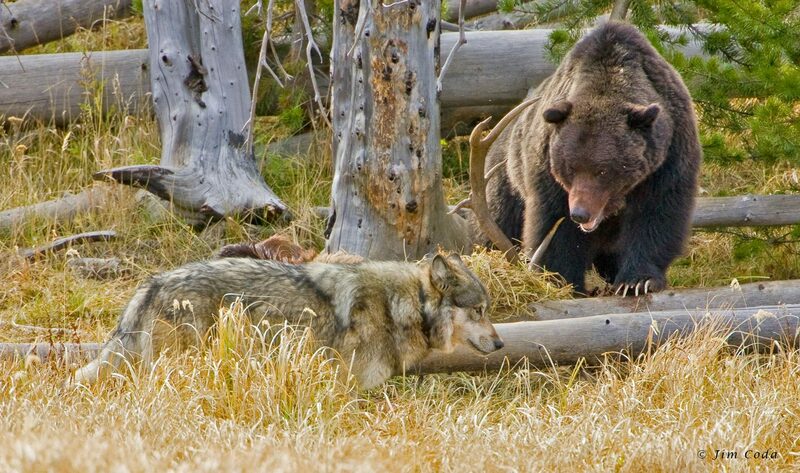 If you visit Yellowstone, you’ll have plenty to do. Besides seeing the geysers, you can go hiking and fishing. You might see moose, bears or even wolves. Inside the park, besides seeing the geysers, you might see moose, bears or even wolves. A video of the geyser shooting water up close. Question: How many geysers are in Yellowstone? Answer: Yellowstone National Park has over half the hydrothermal features in the whole world. There are 300 geysers in the park. The park also has places where hot water bubbles from the earth or forms hot springs. Question: Is Yellowstone a fun vacation place? Answer: Yellowstone is a great place to visit. In 1988, fires burned almost 800,000 acres in the park. One of the fires was started by a dropped cigarette. Today, plants and trees are growing back. Enjoyed the Easy Science for Kids Website all about Old Faithful info? Take the FREE & fun all about Old Faithful quiz and download FREE Old Faithful worksheet for kids. For lengthy info click here. Declan, Tobin. " 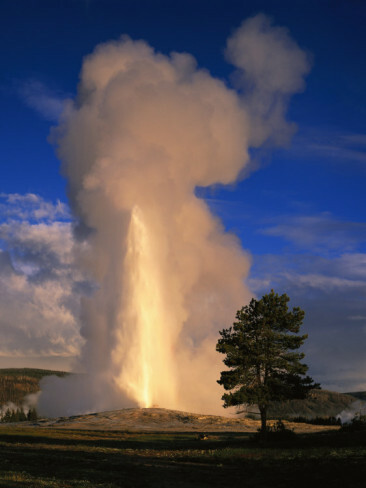 Old Faithful Facts for Kids - Yellowstone National Park ." Easy Science for Kids, Apr 2019. Web. 25 Apr 2019. < https://easyscienceforkids.com/all-about-old-faithful/ >.